I will be starting Afterworlds sometime very soon! In the meantime, check out all the books I finished in the last week. I am still so far behind in my goal, but progress was made! 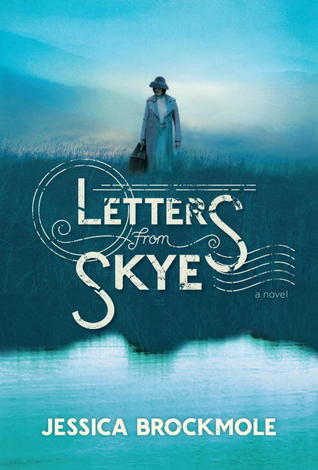 Letters from Skye by Jessica Brockmole-an epistolary novel set against the backdrop of WWI and details the relationship between a young Scottish poet and a young American fan. I lingered over this one, reading a few letters a night. A sweet, easy read. Calvin and Hobbes by Bill Watterson-I decided by nephews needed a little Calvin and Hobbes in their lives. I was right, they ate it up and even shared with me. Evil Librarian by Michelle Knudsen-There is a new librarian at Cyn’s high school and he is hot! He is also a demon who has enthralled her best friend, Annie and is sucking the life essence from the students. Cyn has an unusual immunity to his charms so while she juggles school and the set design for the school’s production of Sweeney Todd, she also now has to save her best friend. 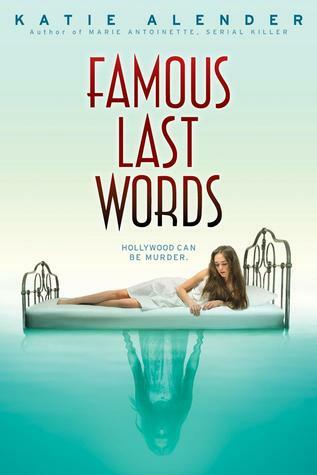 This devilishly hilarious book has a little something for everyone-horror, humor, romance, as well as musical theater! And while a soul-sucking demon is not necessarily an improvement, I find this librarian to be a refreshing change of pace from the stereotypical shushing old lady librarian! Sisters by Raini Telgemeier-in her companion to Smile, Telgemeier recounts her changing relationship with her younger sister. Anyone with a sibling can relate to the ups and downs having a brother or sister. 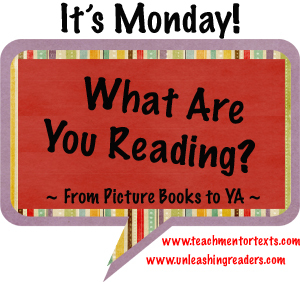 This entry was posted in Book Lists, Book Reviews, Mondays with Megan and tagged ARC, audiobooks, Bill Watterson, Calvin and Hobbes, fantasy, It's Monday! What Are You Reading?, Jessica Brockmole, Lish McBride, Michelle Knudsen, netgalley, Raini Telgemeier. Bookmark the permalink. I recently heard about Gregor the Overlander. Another dystopian adventure? It’s more fantasy/quest. I am enjoying it so far! 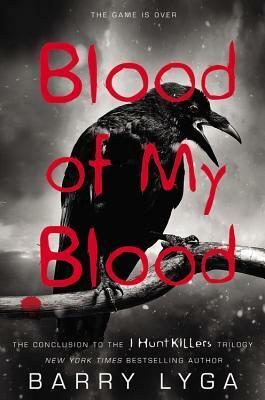 I will soon be reading Leigh Bardugo’s series – really looking forward to it.